A good idea that is clearly communicated can revolutionize the way you do business. We don’t claim to have come up with all the great ideas we have learned over the years but we will freely share them with whoever will make the time! Our desire is to be a business resource to all members of the RightWay community. To provide insight, solutions and ideas that make your journey to success smooth and painless. As anyone in business will tell you, growing a business requires a team of smart people who will not stop short of achieving the goal. You can think of RightWay as part of your team, without the additional payroll! 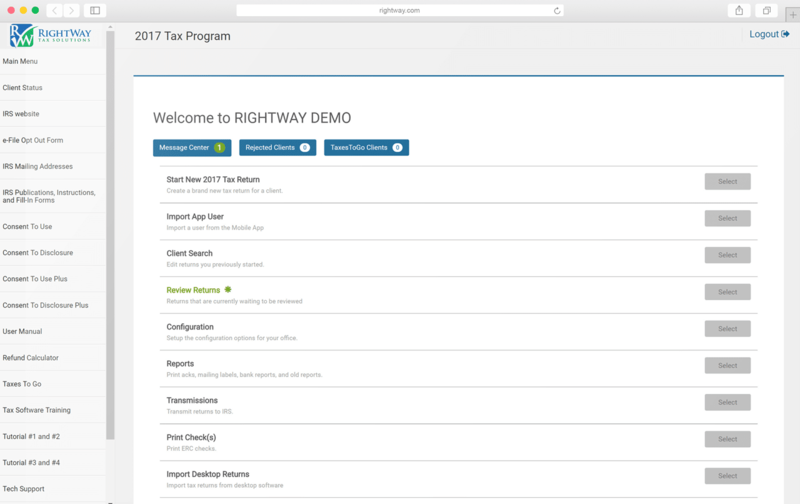 Schedule a demo of our software and hear more about whether RightWay is a fit for your business. Keep track of our community, hear about software updates, and get pro tax office tips.